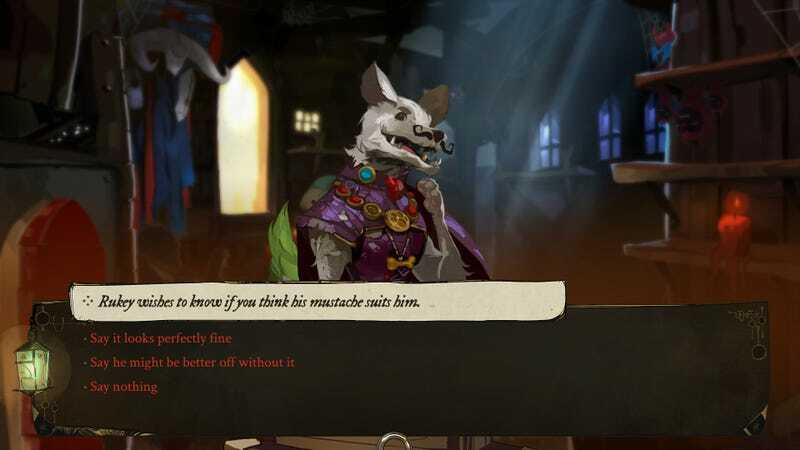 Poll: How Do You Respond To Pyre's Most Difficult Moral Choice? Pyre, the new game from the creators of Bastion and Transistor, is full of difficult choices. This, however, is easily the roughest. What will you do? Please vote, you guys. This is really important. A dog’s mustache hangs in the balance.